MOSCOW, December 19. /TASS/. The man who assassinated the Russian Ambassador to Turkey, Andrei Karlov, on Monday night is identified as Mevlut Mert Altintas, a former office of the Turkish police who was fired from the forces of law and order in the course of investigation of the July 15 abortive putsch, Haberturk news portal said. Altintas, 22, was allegedly involved in FETO terrorist organization. The assassin was killed by security guards on the spot. 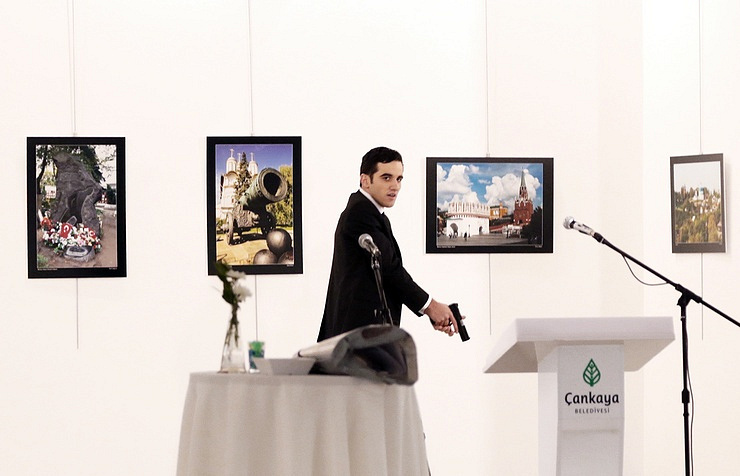 The man who shot and killed Russian ambassador had penetrated the premises of the arts gallery disguised as a policeman, NTV channel said. It indicated that the ID the man had presented at the entrance might have been a fake. 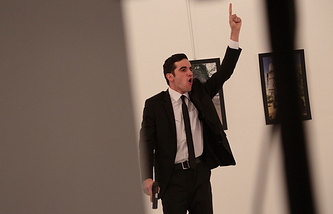 Once inside the building, the attacker shouted "Russia will see revenge for Syria" and opened gunfire.